Whether you call it a blogging birthday or an anniversary I just hit a big milestone. Feast Wisely turned five years old. I started this creative foodie outlet in January 2014 and almost 250 posts later my own diet has transitioned massively. I’ve gone from a meat based to a pretty much vegetarian or plant based diet – at the same time staying true to my Feast Wisely philosophy. As Feast Wisely turns 5, I’ve been reflecting on what feasting wisely means to me – and how you can learn from the Mediterraneans who have long held a reputation for being wise with their feasting. It’s all about indulging in food as one of life’s biggest pleasures but doing so in a way that’s good for your body and your mind. For me this means a diet packed with fresh produce and variety that’s low on animal products and sugar and free of processed foods. This doesn’t mean boring – feasting wisely means moderation and pleasure, not deprivation and pain. I guess I try as much as possible to live by this fantastic quote from Michael Pollan…. Don’t eat anything your great-grandmother wouldn’t recognise as food. It’s a quote that I was thinking about when drooling over Jamie Oliver’s new cooking show based in Italy – Jamie Oliver and the Nonnas. Watching Jamie himself learn from Italian grandmothers and great-grandmothers is so inspiring (do check it out!). I love everything about the relationship the Italians have with food – it’s fresh, seasonal, local, mindful, social, generous and hearty. A few years ago a magazine article on the ltalian approach to feasting caught my attention. 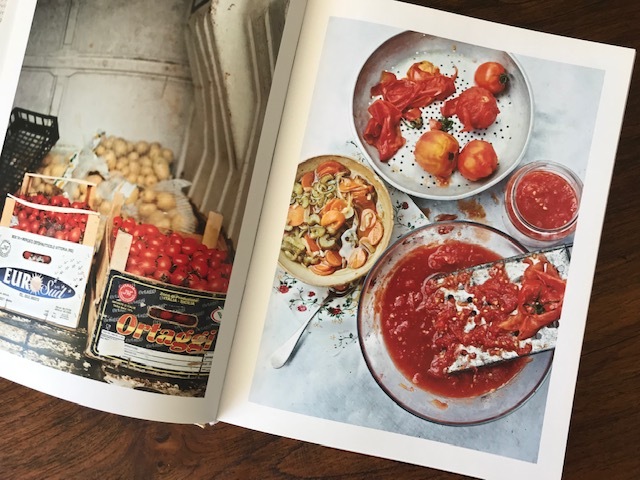 In ‘Eat like an Italian’ Susie Burrell, a nutritionist summarised what she learnt during a stint living with an Italian family. It’s an article I came across again recently sorting through a growing ‘reading material to keep’ pile. 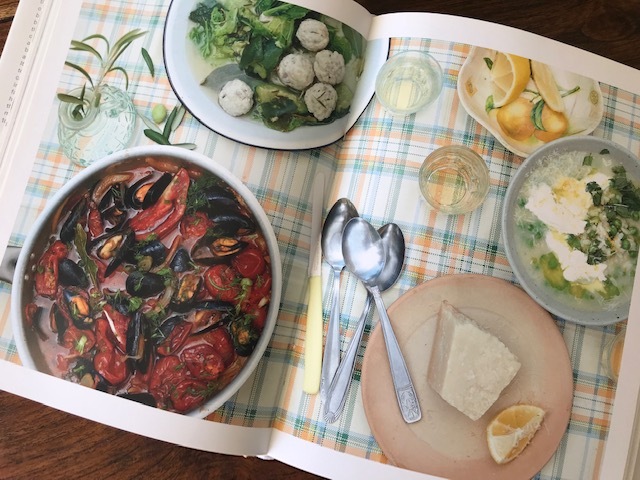 Here, taking inspiration from Susie, I wanted to share three key things we can learn not just from the Italians, but from the relationship the Mediterraneans overall have with food. 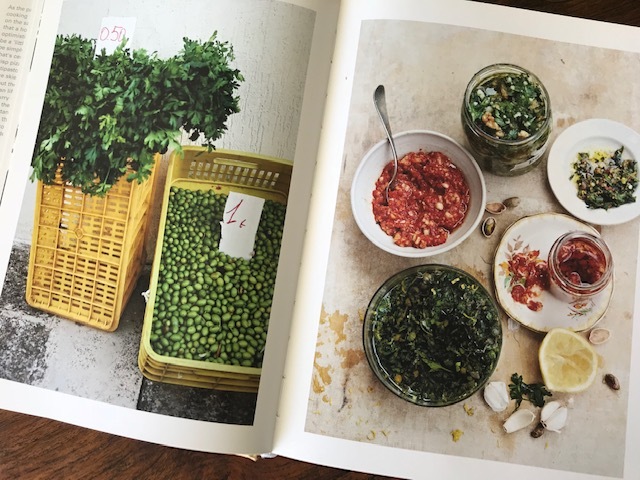 The photos come straight from the pages of one of my many Italian cook books – Bill’s Italian Food by Bill Granger….. The whole family should eat the same food at the same time around the table – without distractions from the TV or gadgets. It takes the meaning of dinner beyond just food – instead it becomes precious time for sharing and laughter. I recently met a lady who spoke proudly of her family’s daily ritual – over dinner she asks each of her children to talk about the best and the worst thing that happened to them during the day. I love this idea as a simple way of connecting over food. And, if a daily family table gathering sounds too ambitious, start small and aim for a few evenings a week. Cook simple food, with quality fresh ingredients. Banish anything processed, take-away and sugar laden. It’s not that hard. Firstly scale back your pantry to healthy essentials like tinned tomatoes, dried legumes, spices and vinegar. Then change your shopping behaviour – read every label and stay clear of anything with added sugar, vegetable oils and strangely named additives. Remember, the values of simple, quality and fresh don’t mean resigning yourself to boring food. 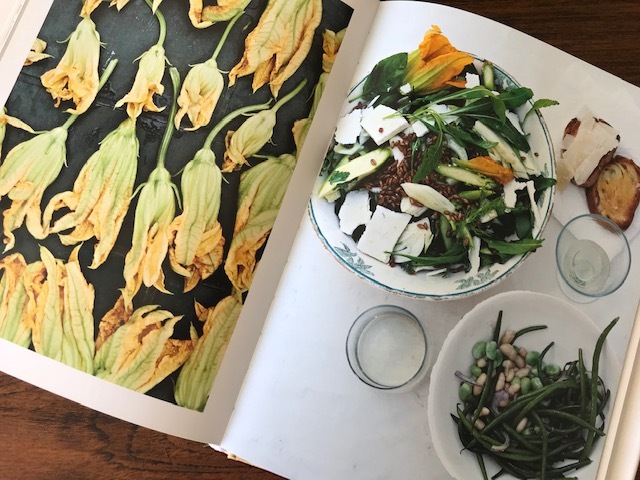 As Susie learnt from living with Italians – ‘even the plainest food could be turned into taste sensations with just a few simple ingredients’. Ingredients like tomatoes, olive oil, chilli flakes, garlic and (my top pick) Parmesan. Too often we eat in a hurry or when distracted or multi-tasking – too often I see people rushing on-the-go or scrolling on their phones and mindlessly stuffing down food at the same time. If you do this it’s hard to truly appreciate what your’re putting into your body. To be mindful with food we need to slow down – and not just over the dinner table, but at breakfast and lunch too. This means being still, free of distractions and chewing properly. By savoring each bite we feel more satisfied (and our digestive systems will thank us for it). So, can you be a little more Mediterranean? Tags: healthy eating, how to, Italian, Mediterranean diet. Bookmark the permalink. 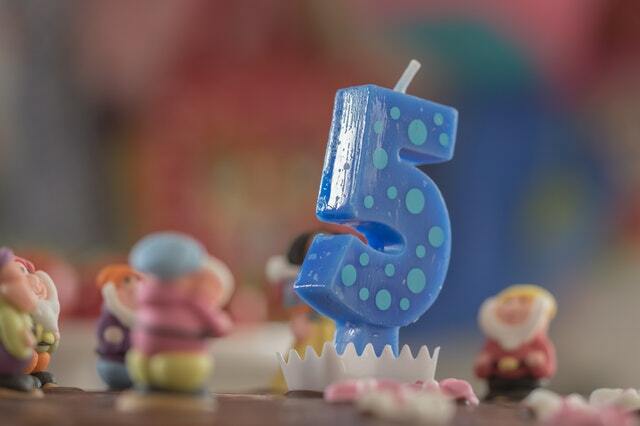 Hi Kay – yes five years has flown by, and yes I’ve watched Cooked – but do send me any other tips for good foodie shows…. The only other ones that comes to mind are Salt, Acid, Fat Heat and Chef’s Table. Let me know if you also have any recommendations! Hi Petra – always good to be reminded I guess, glad you like the post!